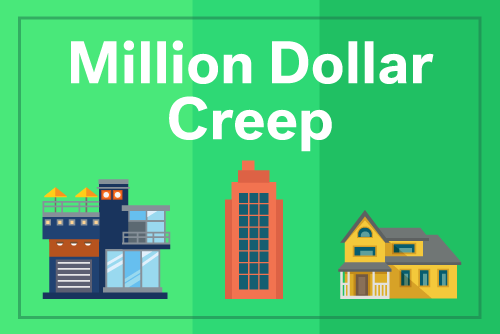 Which Homes Typically Cost More – Those on Wisteria “Lane” or Sesame “Street”? Believe it or not, a home’s address suffix can mean a 36% difference in its asking price. 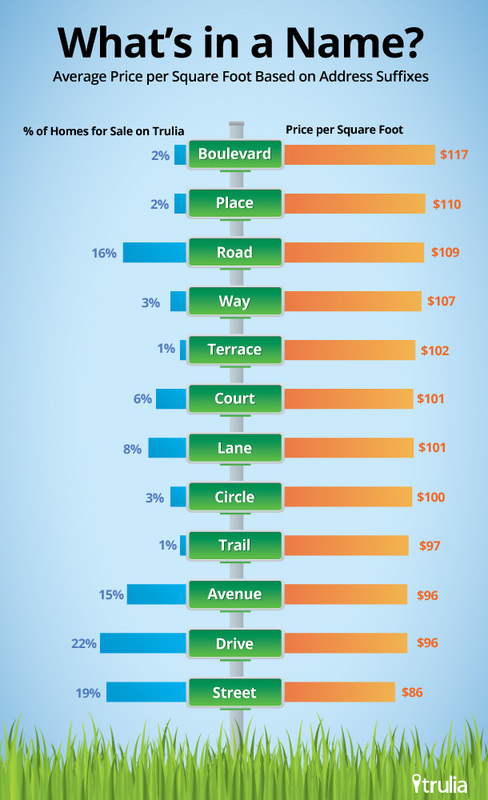 Why is “boulevard” the most expensive address suffix? Well, while the word does have a sophisticated French origin, it actually might have more to do with the mix of the homes located there. Approximately, 37% of homes on “boulevards” are in multi-unit buildings, such as apartments and condos. In contrast, these types of homes make up no more than 16% of homes on every other address suffix. A greater concentration of multi-unit buildings could drive up costs as they are often located in denser, urban areas where space is at a premium. “Boulevard” may be the most expensive suffix but with only a 2% share of total listings, it’s certainly not the most prevalent one. In contrast, 22% of listings are located on a “drive.” That’s even more popular than “street” (19%), “road” (16%), and “avenue” (15%). Now back to our original question (in the title of this post) about Wisteria Lane and Sesame Street. So where are homes more expensive? Based on our analysis above, the price per square foot of Cookie Monster’s home could be 17% cheaper than Susan Mayer’s. Good thing – more leftover cash for cookies! Cookies!! Cookies!!! 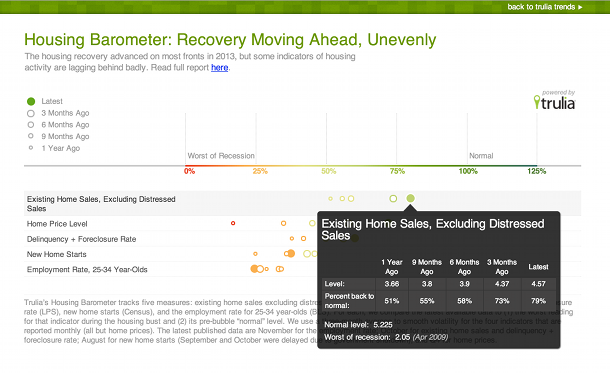 Trulia’s revised Housing Barometer shows that 3 of the 5 key housing indicators are on track towards a full recovery. 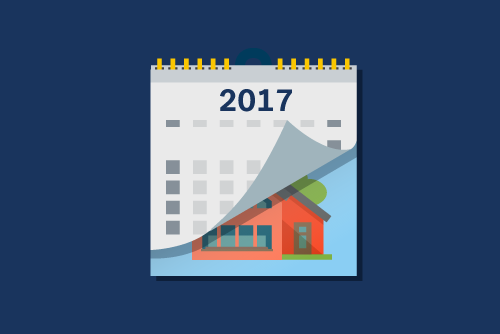 Home sales and prices are approaching normal levels, but construction and young-adult employment are badly lagging. 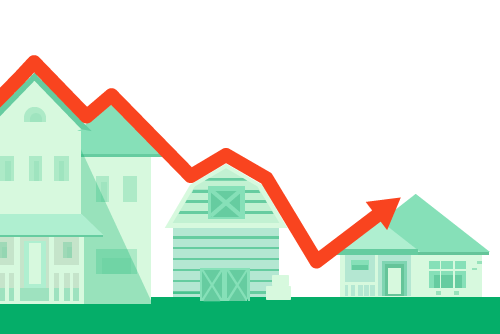 At the metro level, some housing markets are fully recovered, while others are far from normal. Since housing prices bottomed nationally at the start of 2012, the fortunes of homeowners and renters have varied widely based on where they live. Since 2012 the share of million dollar homes in the United States has increased from 1.6% to 3%, but many metros and neighborhoods have seen a much larger increase.